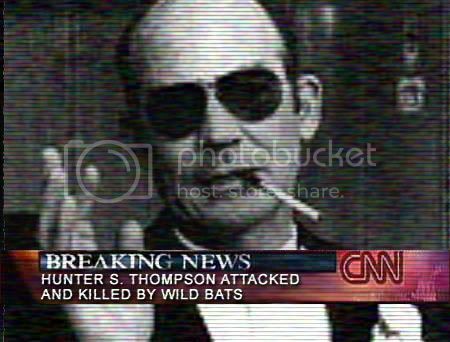 Writer, Hunter S. Thompson, died tonight... a self-inflicted gunshot wound. That above post sounds sarcastic, but I really am surprised to hear he took his own life. Wow. I can't say I'm shocked, really, but I'm still a little... stunned.